Contact center industry leaders not only provide cutting-edge technologies and solutions; they use best practices to move businesses from simple interactions to modern, omnichannel customer experiences. Using a 10-step evaluation process, Frost & Sullivan analysts independently assessed contact center solution providers. 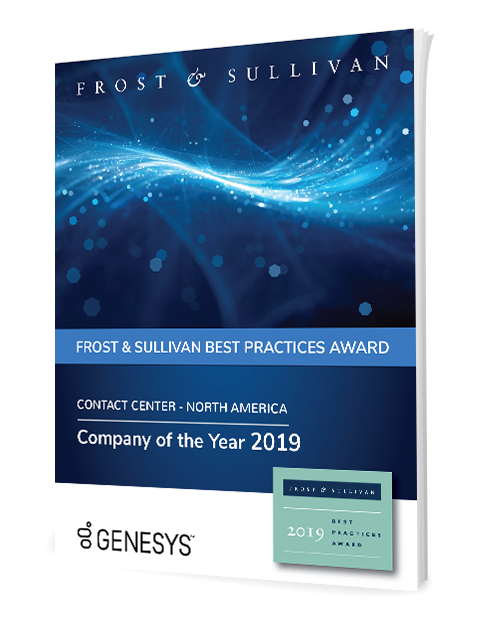 Genesys has been named the Frost & Sullivan 2019 Contact Center North America Company of the Year — ranking above the competition for the second year in a row. Get this report to review the complete research findings.